Have you noticed that you feel more cranky when you’ve eaten junk food or drunk alcohol for a few days? Or that you feel a little boost of mood after a fresh, nutrient-dense green juice? These mood reactions may have more in common than you think: micronutrients. – Vitamin D: A 2015 study from Oregon State University suggests there is a relationship between low levels of vitamin D and depression in otherwise healthy young women; while data from the third National Health and Nutrition Examination Survey (HANES) showed a higher likelihood of a depressive episode in people with lower Vitamin D levels. – Selenium: In her book Nutrition and Mental Health, Dr. Ruth Leyse-Wallace references five studies that report lower selenium intake with poorer mood. – Thiamine (or Vitamin B1): A year-long study of vitamins at the University of Swansea determined than an improvement in thiamine status in women after 3 months was associated with improved mood. – Magnesium: Numerous studies have linked magnesium to helping improve mental state, including a 2010 study that reported some subjects experienced an uplift in mood and outlook in only 7 days. One thing that all these studies on micronutrients and mood confirm: Micronutrient sufficiency plays a foundational role in good mental health and a positive outlook. It is not surprising then that an increasing number of practitioners are offering micronutrient therapy (also known as orthomolecular medicine) as a way of helping individuals maintain better focus and improving stress responses, overwhelm, and compulsive behaviors. So, next time you are feeling low or stressed, ask yourself how is your digestion? What have you been eating? Have you been achieving enough deep nutrition to remain balanced? Could a shortfall of micronutrients be making your body feel like it’s struggling to keep up? Before you lash out at your loved ones, grab a green juice and some micronutrients, some active plant enzymes to maximize absorption, take some deep breaths and remember, you are what you absorb. 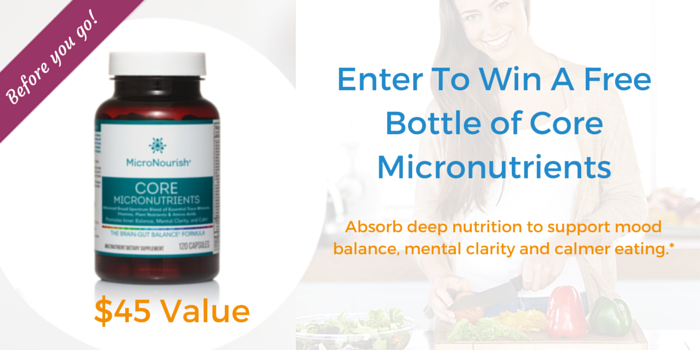 Nadia Tarazi, MBA, MA, CPCC, is an Executive Coach and Founder of MicroNourish®. Nadia developed the MicroNourish System after dramatically improving her own focus, digestion, and relationship with food through micronutrition. 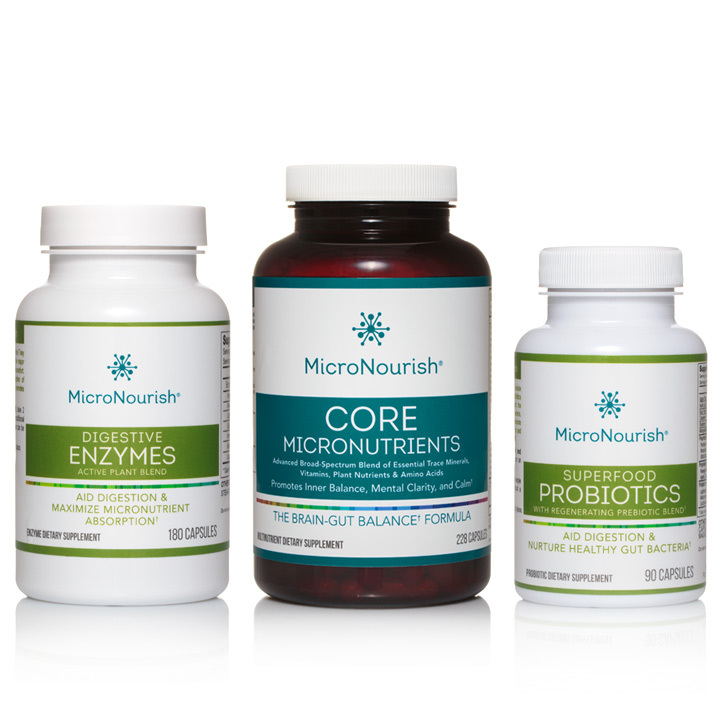 The premier system includes micronutrients and digestive formulas designed to target brain and gut balance for inner balance, mental clarity, and calmer eating. Nadia curates the online magazine, You Are What You Absorbrb®, which features experts sharing practical advice on good nutrition and mind-body balance; she also developed the mobile app, ThinkPal®, which generates coaching questions to help people get unstuck.